The economic environment and the insurance market are fully correlated. Healthy growth of the insurance business is hardly possible without economic growth. Of course, we have been an example of an expanding business in the times of economic downturn, but this expansion also comes along immense managerial and organizational efforts. XPRIMM: What is the importance of EUROINS - the insurance business - within the activity of EUROHOLD? How did it evolve over the past few years? Assen CHRISTOV: EUROHOLD is a leading company in Bulgaria and CEE, focused on the non-banking financial services, asset management, insurance and vehicle distribution and sales. The range of investments of EUROHOLD makes it a unique regional holding company, which strives for operational excellence and constant improvement and innovation at the level of its subsidiaries. Approximately 65% of the investments of EUROHOLD are in the insurance field and approximately 71% of its revenues are derived from the general and life insurance subsidiaries. The importance of the insurance business of EUROHOLD has been constantly evolving. In 2009 for example, the revenues from insurance activities amounted to EUR 95 million, compared to EUR 159 million, in 2014, an increase stemming both through organic growth and important acquisitions of key local players in the regional markets. The mere goal of EUROINS Insurance Group, however, is not to achieve revenue growth, if this does not come along with high levels of customer satisfaction and permanent improvement in the services and product lines. XPRIMM: Which are the regions and the main business lines EUROINS focuses on? 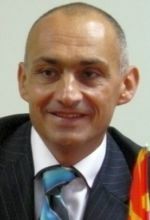 A. C.: EIG has subsidiaries in Bulgaria, Romania and Macedonia. It recently signed a SPA (sale and purchase agreement) for the acquisition of a life insurance entity from Greece, and prior to this, from TALANX Group (a major German insurance player) its subsidiaries in Bulgaria and Ukraine which are on the way to full legal and operational integration. EUROINS Bulgaria also operates in Greece, and its parent EIG is foreseeing expansion in 2015 in Central Europe (Czech Republic, Poland). A year ago, EUROINS acquired the businesses of QBE in Bulgaria and Romania and INTERAMERICAN in Bulgaria, and is currently reaping the benefits of these acquisitions through portfolio diversification and shared best practices. XPRIMM: How dependent on one another is the economic environment and the insurance market? A. C.: The economic environment and the insurance market are fully correlated. Healthy growth of the insurance business is hardly possible without economic growth. Of course, we have been an example of an expanding business in the times of economic downturn, but this expansion also comes along immense managerial and organizational efforts. XPRIMM: How would you characterize the markets you are active in? Is competition an issue? Do they still have room for development? A. C.: The markets in which we operate are similar with respect to their stage of development, which, frankly speaking is not very advanced. The clients in Bulgaria, Macedonia and Romania are all extremely price driven and one cannot blame them for this. This is applicable to all product lines. The preferred and dominating lines of business are the motor segments and especially, of course, in the obligatory MTPL. Competition is also predominantly led by prices (excluding the MTPL in Macedonia - a non-EU state - where the MTPL prices are fixed by the regulator) and few companies can demonstrate visible competitive advantages. Where one company can win customers by its reputation and name, another one can do it through more flexibility, better sales network and lower administrative costs. We are trying to follow all of the latter, being a local player, but most of all we are focusing on our innovative product solutions and our highlight - the extremely detailed segmentation in the motor insurances. XPRIMM: Recently EUROINS made some important acquisitions. Was that a part of an older strategy? Do you plan on making other acquisitions in the near future if the opportunity reveals itself? Are there any other countries you plan to enter? A. C.: Yes, EUROINS proved that for us, crisis means an opportunity (the same as the Chinese hieroglyph which is the same for both). We did acquire businesses in the past few years and we are looking to make more acquisitions. Acquisitions make part of our way of life. XPRIMM: Motor TPL plays an important part among the business lines of EUROINS. Which are the main problems that come along with this type of insurance policy? A. C.: MTPL is an important product for all markets in the region, and it naturally represents the biggest portion of the general insurance. Problems do not naturally come merely from the type of insurance policies but rather from the ways of handling of these policies and sometimes from the regulations in place, MTPL being a mandatory insurance. We have experienced problems in the past mostly due to temporary pricing misjudgments or market pricing pressure and also, due to imperfect claims handling, fraudulent attempts (including in court cases) and lack of proper segmentation. With the experience gained, we managed to overthrow the majority of these causes for bad financial results and are now focusing especially on the customer satisfaction, proper claims handling and mostly segmentation up to the smallest possible detail. We see the efforts of this segmentation - decreased number of reported claims, lower amount of reported and paid claim, less customer complaints, even less fraud. XPRIMM: Do you believe that price is an important factor when buying an insurance policy? A. C.: In the countries from the region it is, however, we expect with time customers to become even more demanding on their choice of insurers. We are trying to communicate with our customers and to get their feedback on a daily basis - steps like this would make the difference. And of course, we would expect some improvements in the overall economic, market and regulatory environment. Mandatory insurance, such as MTPL should not be the battlefield for price wars. XPRIMM: Do you see Solvency II as a threat for smaller companies in the region you are active in? Which is your opinion on the Solvency II framework? A. C.: Solvency II is a framework, which most of all should provide better corporate governance and customer satisfaction. These all come with the preparedness of companies for Solvency II. It cannot be a threat for the smaller companies, as long as it is not abused and wrongly read by local regulators. We are working hard on a daily basis to be compliant with the Solvency II framework and have gathered a great team of experts, along with technical support from IBM. XPRIMM: Which are your plans regarding the insurance business in Romania? A. C.: EUROINS Romania is an integral part of the business strategy of EUROHOLD and EIG. We have demonstrated our financial and operational support and intentions throughout the years and plan to continue to do so with more emphasis on the compliance and customer satisfaction. There are a lot of efforts that need to be done, in order for us to strengthen the position and image of EUROINS Romania and a non-motor player, but we are ready and willing to take every little step of the way. XPRIMM: How would you describe the Romanian insurance market? A. C.: It is an interesting market from a size perspective, which through major efforts from all players and the regulators can turn into one of the most attractive markets in the region. It is still very price sensitive with relatively low penetration on all segments. Highly dependent on the sales force and intermediaries and with a lot of efforts needed on the claims side in order to tackle fraud and pressures related to the prices of claims. We are determined to take a positive stance on the market and make everything possible to defend and grow the position of EUROINS on the market. XPRIMM: Which are the main objectives for the EUROHOLD group in 2015 and beyond? A. C.: The main strategic objective of EUROHOLD is to keep and grow (with a pace significantly exceeding the economic growth in the area) its position in the region in absolutely all of its investment directions. Going beyond the region and establishing our name as a reputable player on the markets of Greece and Central Europe is also our aim.